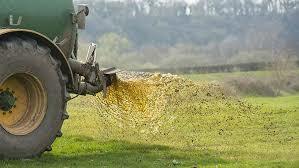 Slurry spreading is banned for the remainder of 2016. No ifs, buts or exceptional cases, the closed season, effective from last weekend, has not been reviewed or extended by Government. This effectively knocks on the head reports that local DVOs could consider applications for the late spreading of organic fertilisers made on the grounds of animal welfare. Minister with responsibility for the implementation of the regulations Simon Coveney said he has definitely not extended the spreading season. The Department of Agriculture is also sticking by the decision. Calls to DVOs are being referred to Coveney’s department where a senior official has reiterated that there is no provision for the extension of the spreading season or any exemption besides. He described reports of the involvement of DVOs as incorrect.